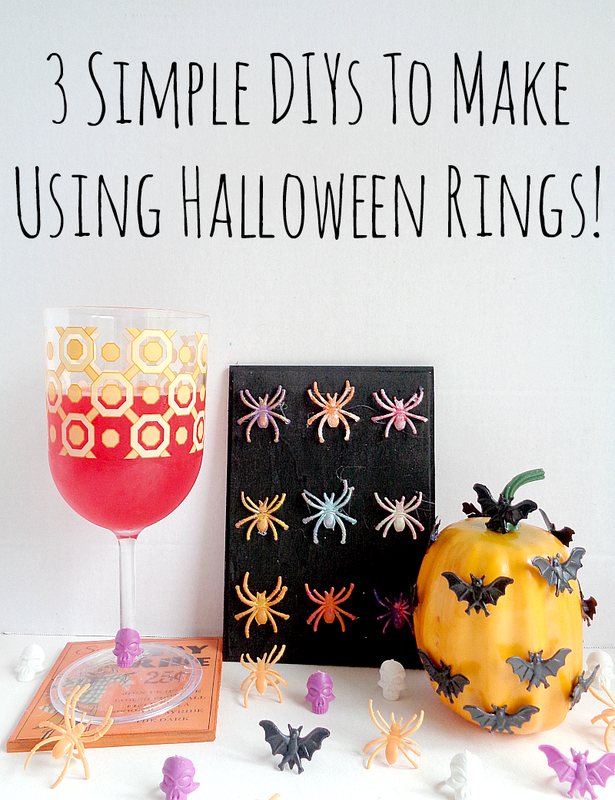 3 Simple DIYs To Make Using Halloween Rings! With Halloween being right around the corner, one thing that I always like looking at is Halloween toys and prizes. 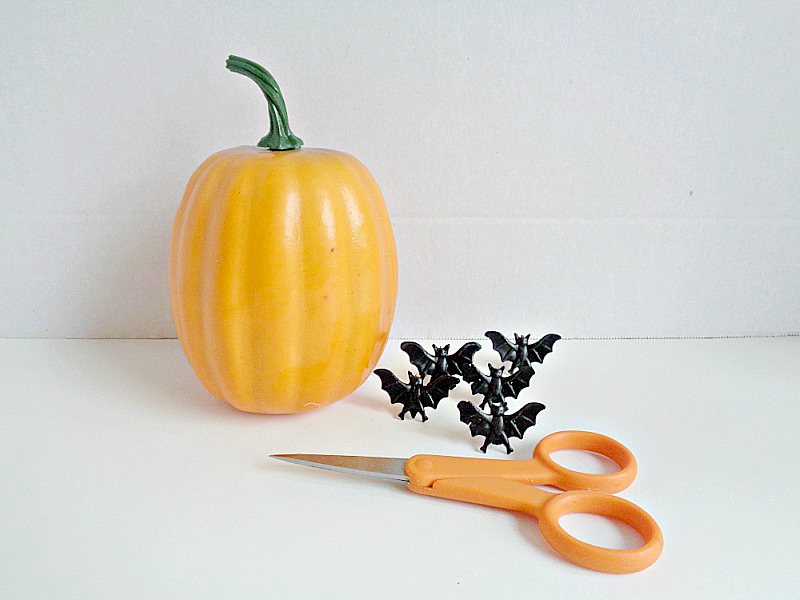 The reason why I like to look at the Halloween toys and prizes, is to see if I can use them in a DIY project. With that thought in mind, I happen to see the traditional pack of plastic Halloween rings. 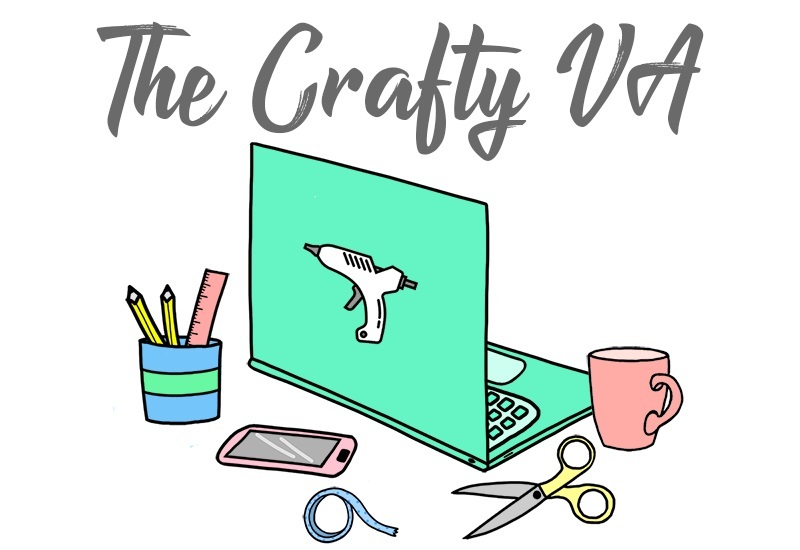 My mind started racing and I began thinking about all the different projects and ways you could use these rings in your Halloween decorating. 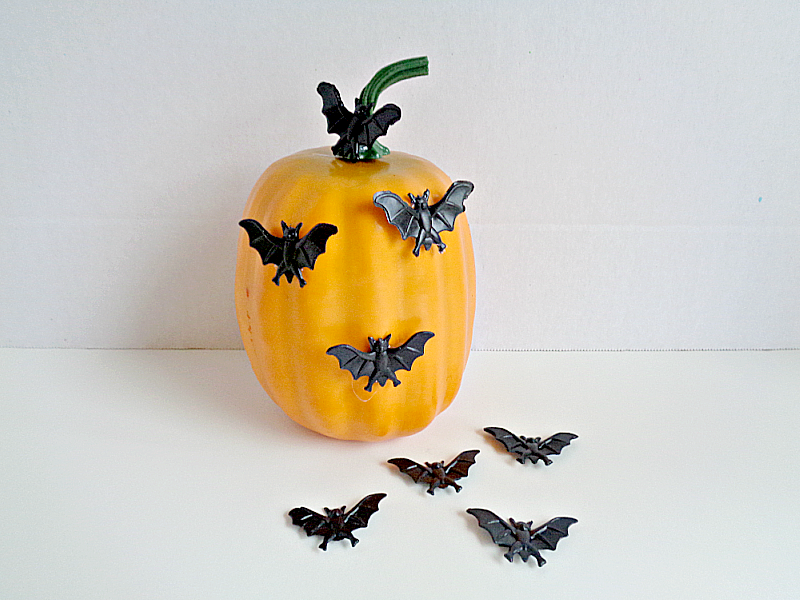 So today I have 3 simple DIYs that you can create by using Halloween rings as your main supply! Now if you're not familiar with Halloween Rings, in a traditional pack you usually get a couple of different colors and styles of rings. In my pack I got bat rings, spider rings, and skull rings. 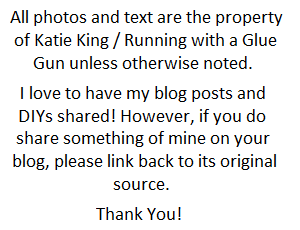 The reason why I bring this is up is because you can switch out the rings in the projects to get your desired look. 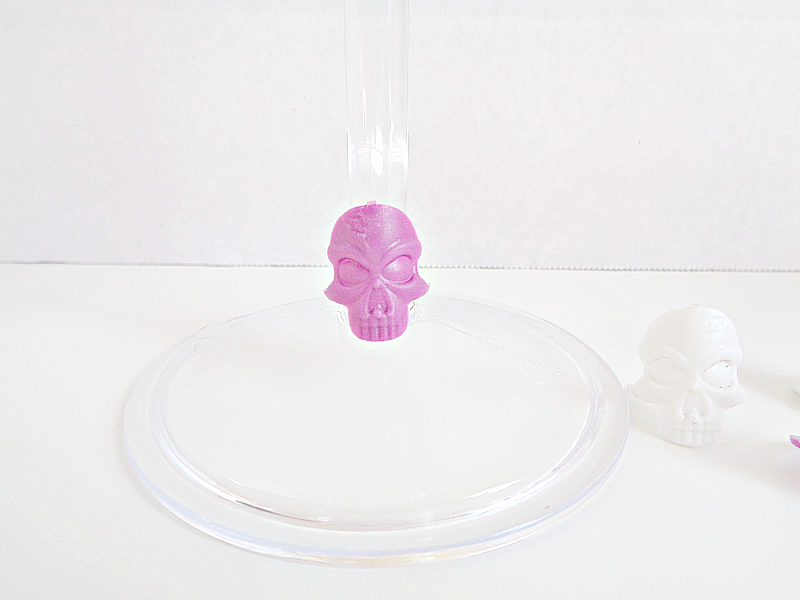 For example, instead of using bat rings in the first DIY you could use spider rings. 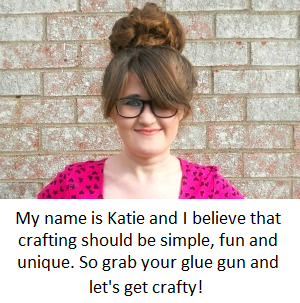 This is just something to keep in mind why you're making the projects or shopping for the Halloween rings. Step 1: Cut the ring portion off of the bat rings using a pair of scissors. 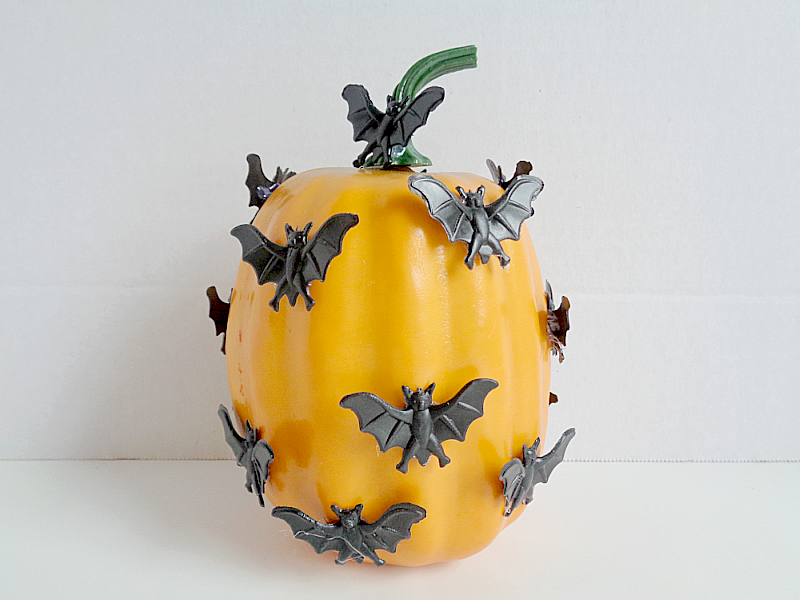 Step 2: Using a hot glue gun, glue your bats onto your pumpkin. 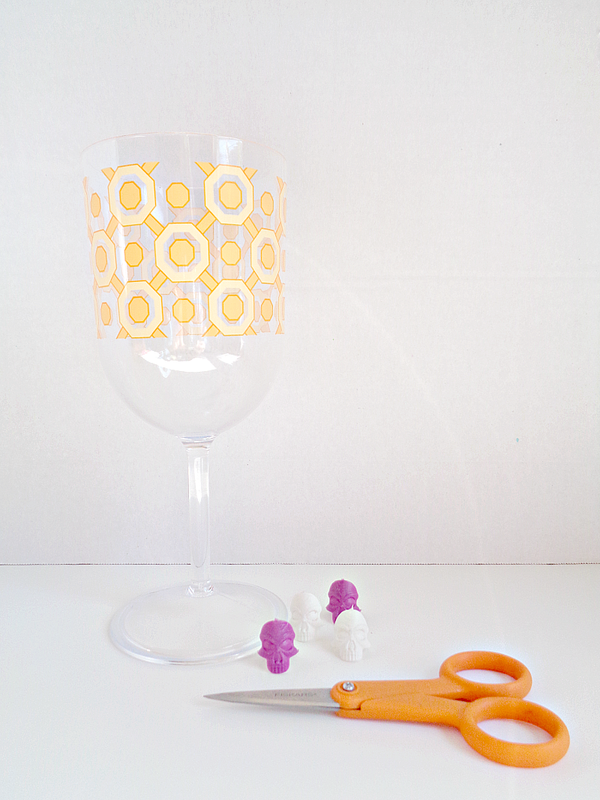 Step 1: Cut the ring portion off of the spider rings using a pair of scissors. 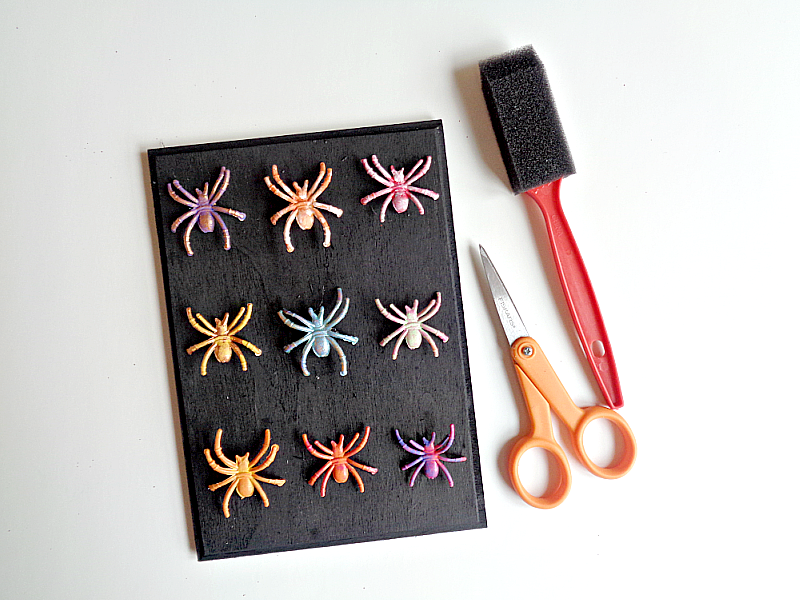 Step 2: Paint each spider in a different color and set them aside to dry. Step 3: Paint your wooden plaque black and set it aside to dry. 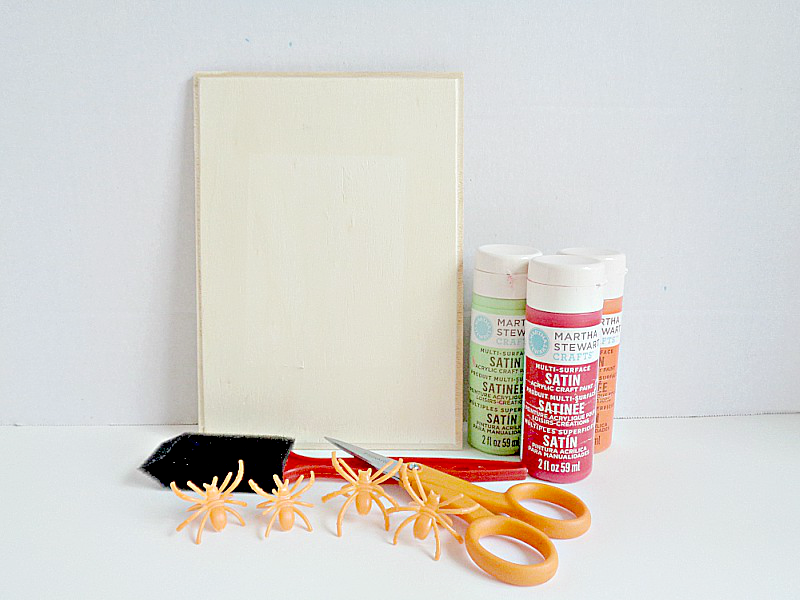 Step 4: Lay out your spiders how you want them and then glue each one into place, using your hot glue gun. Step 1: Cut a small slit into the ring portion of your skull ring. 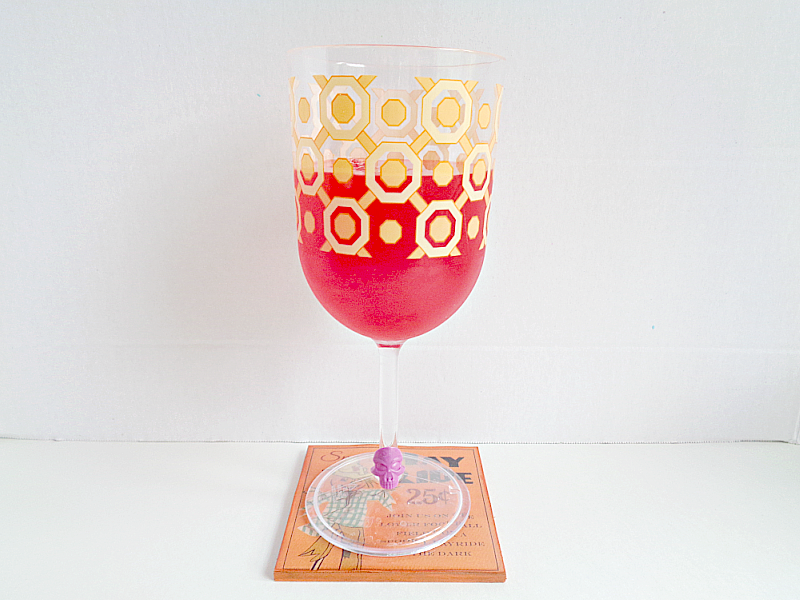 Step 2: Slide the ring onto the glass base. I bet you will never look at Halloween rings the same way again! Like I mentioned before, you can always swap out the rings in these projects to fit your design taste. Personally, I would rather have made a Halloween Bat Collection than a spider collection (lol). 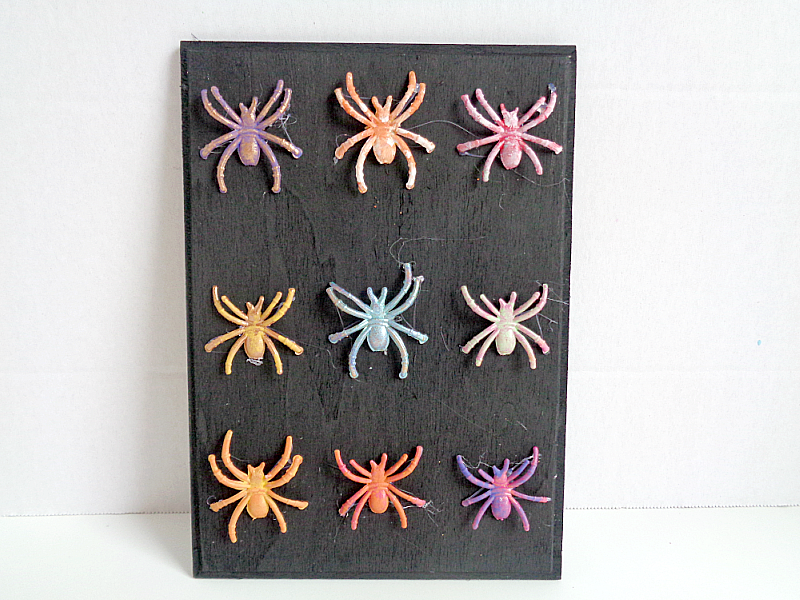 However for the sake of the DIY and ''realness'', I thought the spiders were the better visual option. Also, if you like the Halloween rings that I used in this project, you can find the rings at the Dollar Tree. I was able to get a pack of 50 for a $1.00. Now if you don't have a Dollar Tree in your area, you could always find these rings in the Halloween section of party stores, the craft store, and so forth. So which Halloween Ring project is your favorite?